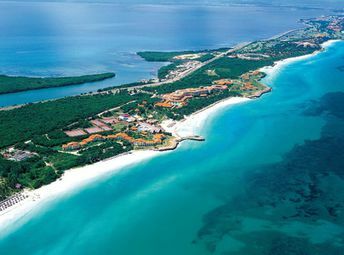 This beach ranks #5 of the "Best beaches in Cuba"
There are many beach hotels on the peninsula, most work on the "all inclusive" basis. Casa's (casa particular) are also available, which are actually an inexpensive guesthouses. Fly to Varadero airport (VRA). Then hire a taxi. Also it's often cheaper to fly to Havana International Airport (HAV) and next take a taxi to Varadero.